About 800 bears remain on more than 250 farms (in October 2017). An incredibly high number considering that the Vietnamese government already took measures against the cruel keeping of bears in 2005 by banning the sale and consumption of bear bile. As shown by research conducted by FOUR PAWS in recent years, most of these bears spend a sad existence in tiny metal cages. The worst thing is: bear bile is still extracted from many of them. As shown in this video, the bears are first anaesthetised under appalling conditions, the gallbladder is then localised by ultrasound and punctured with a needle through the abdominal wall. The anaesthetic is often administered unprofessionally or is too weak. This means that the bear is subjected to incredible pain in a aware state. After extraction, the wounds often become inflamed. Bears whose bile is regularly extracted suffer from painful abscesses, blood poisoning or even cancer of the liver. In addition, their confinement in tiny cages leads to massive behavioural disorders and in the worst cases to self-mutilation. FOUR PAWS experts have visited several bear farms and documented numerous cases of abuse. Our colleague and wild animal expert, Thomas Pietsch, was there: "The cages are extremely tiny, scarcely larger than the bears themselves and completely devoid of stimuli. The bears lack everything. They are ill and lifeless. 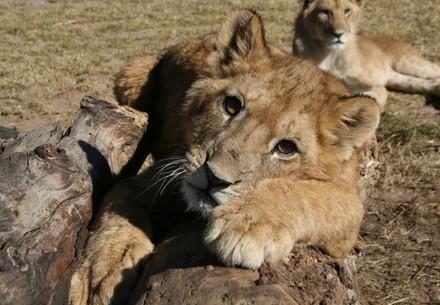 This is extreme cruelty to animals." Even the floor of their cages is a metal grid. They have no possibility to lie down, let alone to stand upright. Some cages are so small that a fully grown bear can hardly turn around. the former bile bears in Vietnam! Bear bile is reputed to contain particularly effective agents that are used, above all, in traditional Chinese medicine (TCM) to treat various diseases. The bile supposedly helps to relieve the symptoms of eye disease, hematomas and digestive disorders. 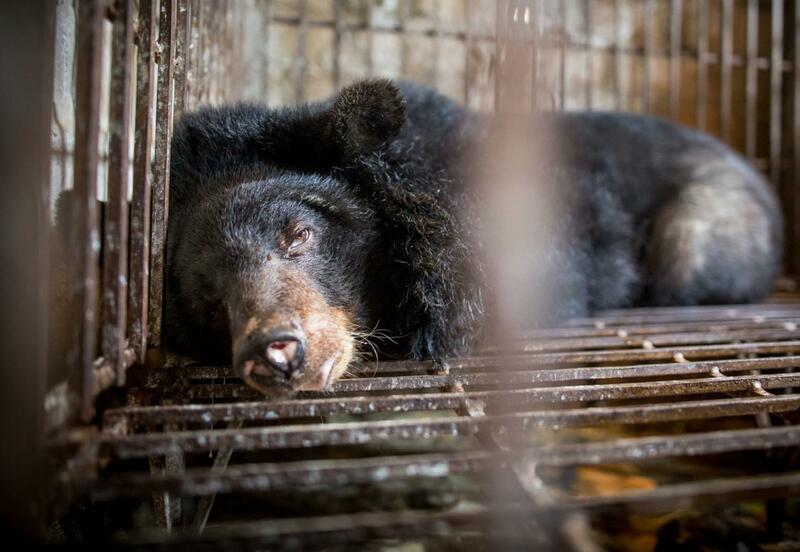 Although the extraction, sale and consumption of bear bile in Vietnam was already prohibited by the Vietnamese government in 2005, bear bile is still traded behind closed doors. Why all this cruelty? Synthetic alternatives to bear bile already exist that can be produced in the laboratory. But according to TCM experts, natural bear bile is reputed to have special powers that cannot be synthetically reproduced. We were especially shocked to discover that most of the 1,300 bile bears in Vietnam were captured in the wild. It is believed that their bile is more effective than that of bears bred in captivity. Please sign our petition now and help Vietnam's bile bears.